In 2012 Jaimi headed to London where she worked as a hair & make up artist in many of London's 5 star hotels & Residences. During which she styled a range of people from celebrities for awards nights to princess' from Saudi Arabia. Upon her return she managed a highly reputable salon in South Yarra specialising in hair extensions. What keeps her motivated and excited about her career in hair & make up is the never ending changes in trends and techniques. Hair colour experts, at sleek we take pride what we do, and this is evident by our work which is regularly featured in Hair and beauty magazines all over the world we are constantly innovating, up skilling, and sharing our knowledge in the world of hair and make up. We specialise in commercial colouring, cutting, and Styling, wour aim is that our valued clients will be able to recreate our beautiful work at home, with minimal fuss and maintenance.Another passion of ours is bridal hair and make up service, which we offer at at your location or ours. We also Specialise in alll types of Human hair extension, and are expert in the art of hair selection, colour matching, and blending, no one will ever know. With over 20 years experience you will benefit from our Qualified professionals. Book now for your Free consultation. Do you like to jog with a cap on along the bay because it suits you or you?re just too conscious of your thinning hair and baldness? If you have problems maintaining your hairline or you need to recover your youthful looks, you need a natural solution to your hair woes. Consider Fierce Hair Growth to help you restore your hair. Fierce Hair Growth uses the scientific breakthroughs of Growth Factors to grow hair on your scalp. Growth Factors are proteins which heal and grow cells in your body. We?ll use these proteins on the stem cells in your scalp through a painless microneedling procedure. Please call us on our 1300 343 723 number to find out more and visit our Port Melbourne branch today. OUR SALONS All of the salons that offer TG Hair Extensions are experts at applying Weft Hair Extensions. They have been fully trained in how to perfectly colour match the hair and style cut the extensions to beautifully blend with the client?s natural hair. 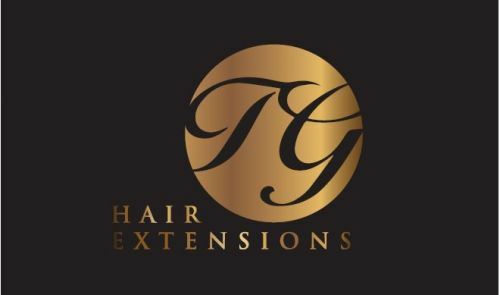 Their Hair Extensions Specialists understand the importance of the consultation process. They will ask you questions that will ensure that you leave their salon feeling totally blown away by your Hair Extensions experience. They will also focus on educating you so that you understand how to best care for your Hair Extensions and your natural hair after you leave the salon. You can check out our customer reviews on our website. Also browse our Facebook page and Instagram account to see all our work our team of hairdressers and makeup artist do!